#Repost @tmagazine ・・・ The illustrator Damien Florébert Cuypers (@flrbrt) captures a flowy look at the @jennypackham show for his #nyfw #snapsketch series. #Repost @tmagazine ・・・ The illustrator Damien Florébert Cuypers (@flrbrt) captures @teyonahparris arriving at the @itsjeremyscott show, for his #nyfw #snapsketch series. #Repost @tmagazine ・・・ The illustrator Damien Florébert Cuypers (@flrbrt) captures an ethereal trio at the @rodarte show for his #nyfw #snapsketch series. 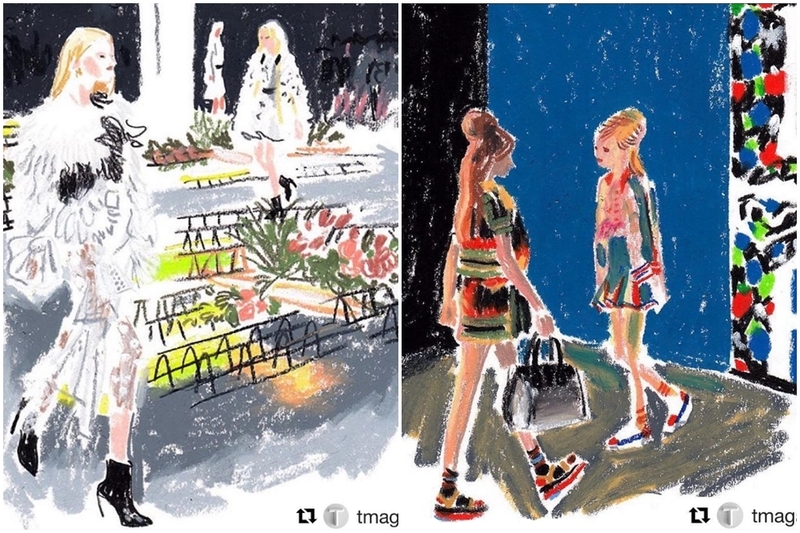 #Repost @tmagazine ・・・ The illustrator Damien Florébert Cuypers (@flrbrt) captures a cheerful collection at the @officialannasui show for his #nyfw #snapsketch series.